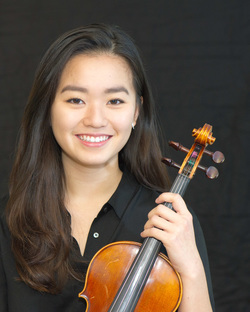 Joanna Lee, 17, has been playing the violin since she was eight. She began her music studies in Korea, where she was born, and has been instructed by Leslie Krull since her arrival in Canada in 2009. 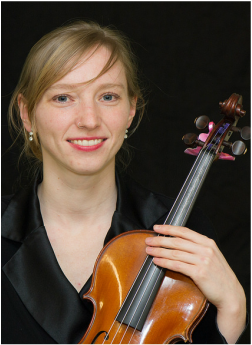 To extend her involvement in Nanaimo and gain experience in working and performing with a string group, Joanna joined the Nanaimo Chamber Orchestra. She hopes to continue taking part in the NCO until proceeding to post secondary education. Joanna has competed in music festivals and has participated in other ensembles, including the Con Fuoco Players and school bands. Joanna enjoys painting and taking photographs in her spare time. Maartje began playing the violin at the age of 4 in Amsterdam. Her parents were worried that she wanted to imitate her violin playing brother, but time has proven that the violin would be a life companion to her. She played in several youth ensembles and orchestras in Holland and grew into a semi-professional life as a violinist teaching and playing in a wide range of music productions. However, she chose to switch her career direction, keep music as a dear friend and pursue her other major passion: the outdoors, which brought her to Vancouver Island. Thanks to the NCO she is able to continue playing her violin.